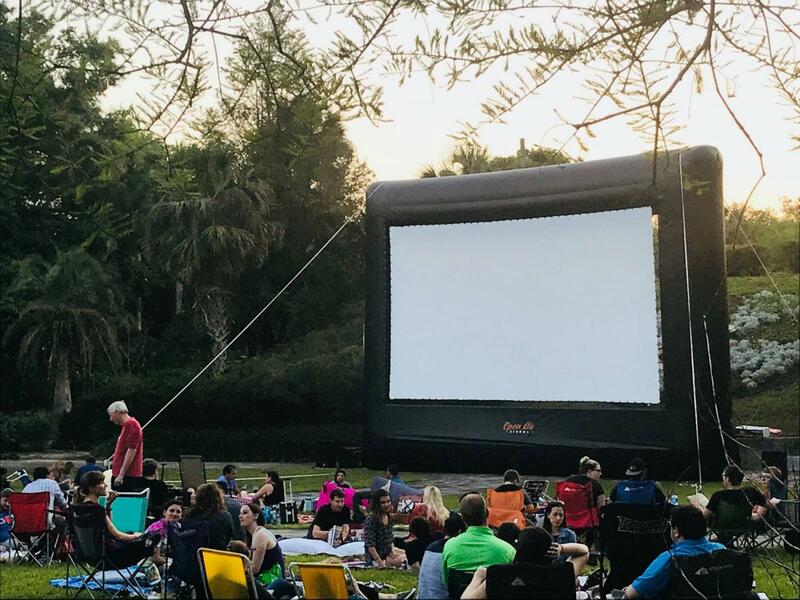 Enjoy a movie outdoors in the gardens. We are showing: Mamma Mia Here We Go Again. Gardens open at 6:00 p.m., Movie time at 7:30 p.m.
You may bring a dinner picnic basket and seating. Alcohol is permitted.This movie is rated PG13. Under 13 years of age requires accompanying parent or adult guardian. Weather: All movies are weather permitting. If the weather is iffy, Leu Gardens will make a decision by 6:00 p.m. and post the decision on Facebook and voice mail 407.246.2620. Please call or check the Facebook page after 6:00 p.m.